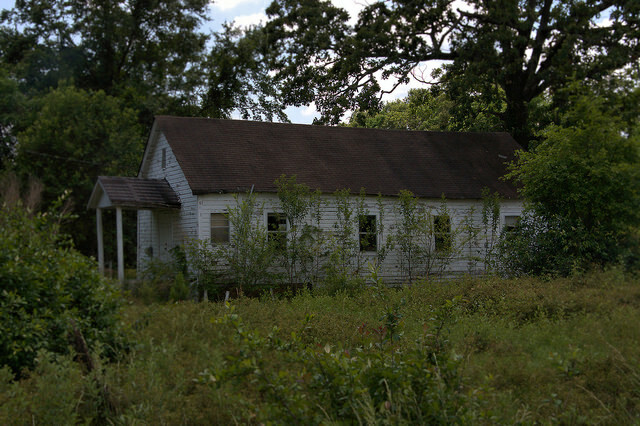 This is located on U.S. Highway 280 just east of Americus. 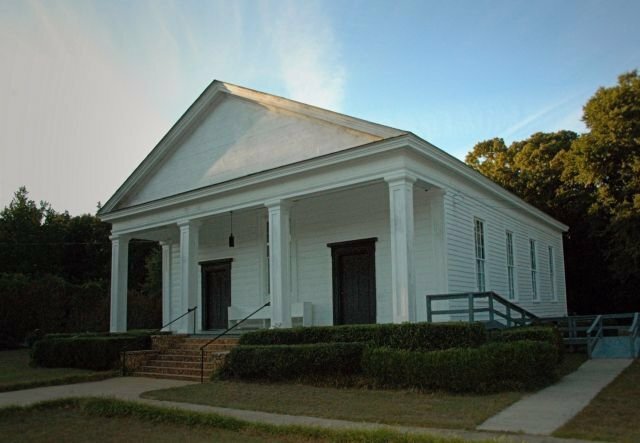 A historical marker recently placed by Cavalry Episcopal & the Georgia Historical Society gives insight to the story of this beautiful church: Calvary Episcopal Church was organized in 1864 as a second effort to found an Episcopal parish in Americus. The cornerstone for the original wood-framed church was laid here in 1869. The current building was completed in 1921 under the leadership of Rev. James Bolan Lawrence and renowned architect Ralph Adams Cram. Cram is primarily known for his Gothic designs in college campuses and churches nationwide, including the Princeton University Chapel and New York’s Cathedral of St. John the Divine. Rev. 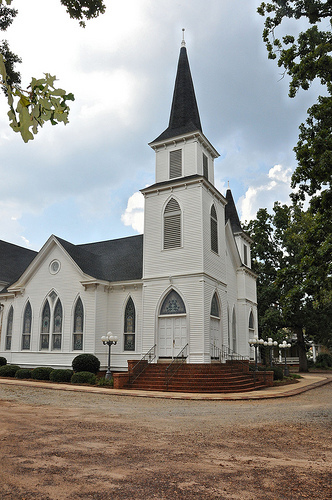 Lawrence founded churches in Pennington, Vienna, Cordele, and Blakely, and also established congregations in Cuthbert, Dawson, and Benevolence. Rev. Lawrence served the Calvary parish from 1905-1947. 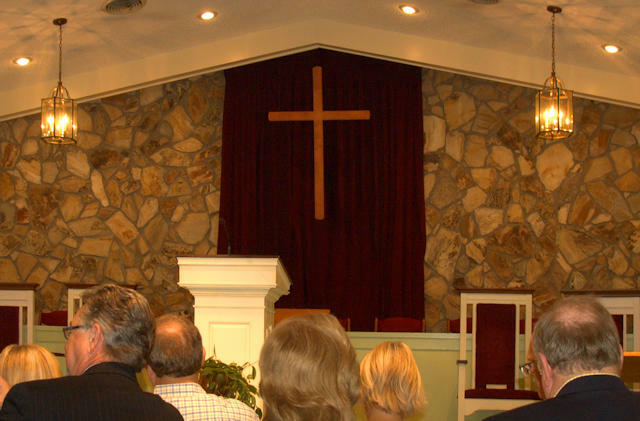 Because of his dedication to evangelism and church planting in Southwest Georgia, Rev. Lawrence was recognized as a saint in Georgia by the Episcopal Diocese of Georgia in 1999. 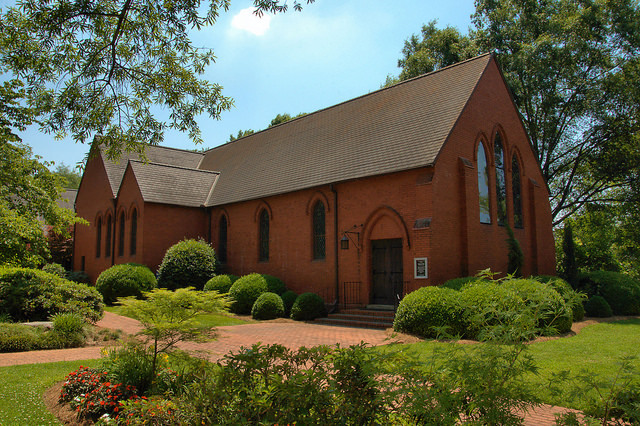 Due to threats from the proposed demolition of the Lee Street Bridge and a new larger bridge project, the Georgia Trust for Historic Preservation placed this church, as well as other nearby historic properties, on their 2017 Places in Peril list. 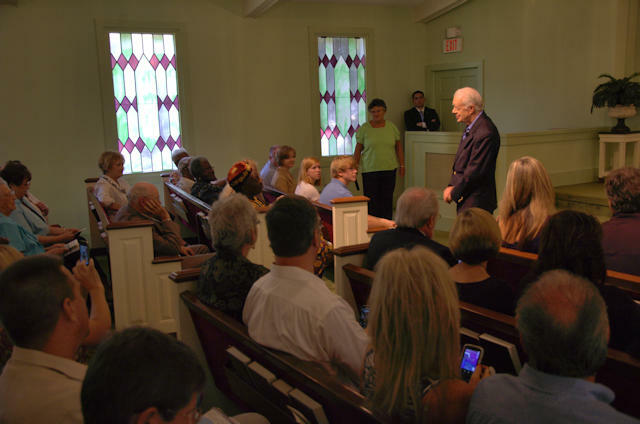 Former President Jimmy Carter, who retains strong ties to his small hometown of Plains, teaches Sunday School several months during the year at Maranatha Baptist Church. The public is welcome to attend and people visit from all over the world. President Carter was very gracious and taught a wonderful lesson about powerful women of the Bible. It was an honor to be able to attend and to photograph the Nobel Peace Prize winner. 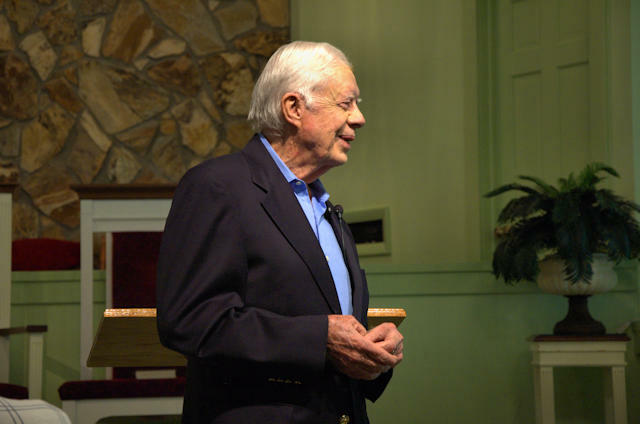 In addition to his many talents, President Carter is also an accomplished woodworker. The cross seen below was made by Mr. Carter. 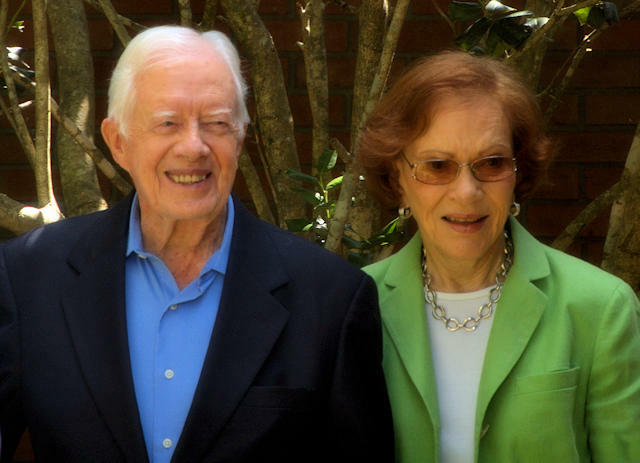 Jimmy & Rosalynn Carter posing for photos after church. PLEASE DO NOT POST POLITICAL COMMENTS. THEY WILL BE DISREGARDED. 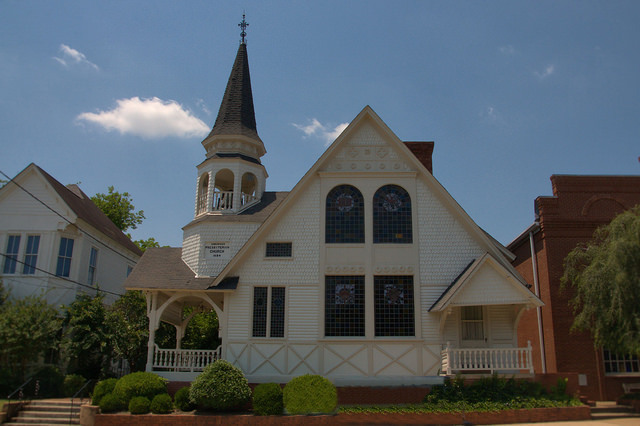 Concord Methodist was organized in 1846. Reverend Daniel Fresley was the first pastor. 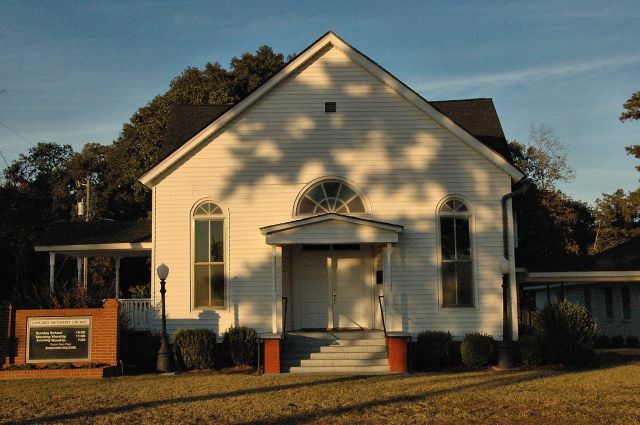 Friendship Baptist Church was established in 1839. 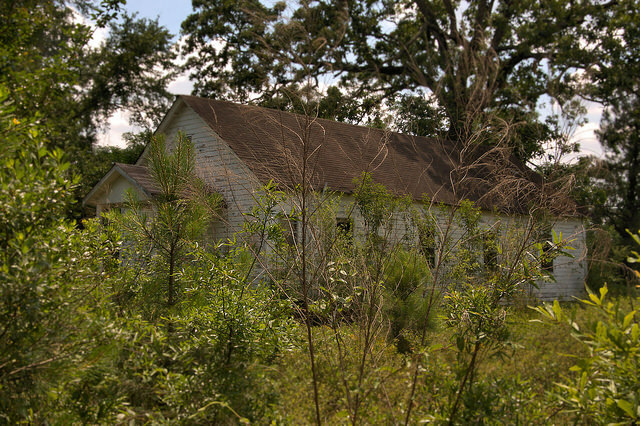 I’ve had trouble locating a good history, but have learned that this is the oldest church standing in Sumter County.